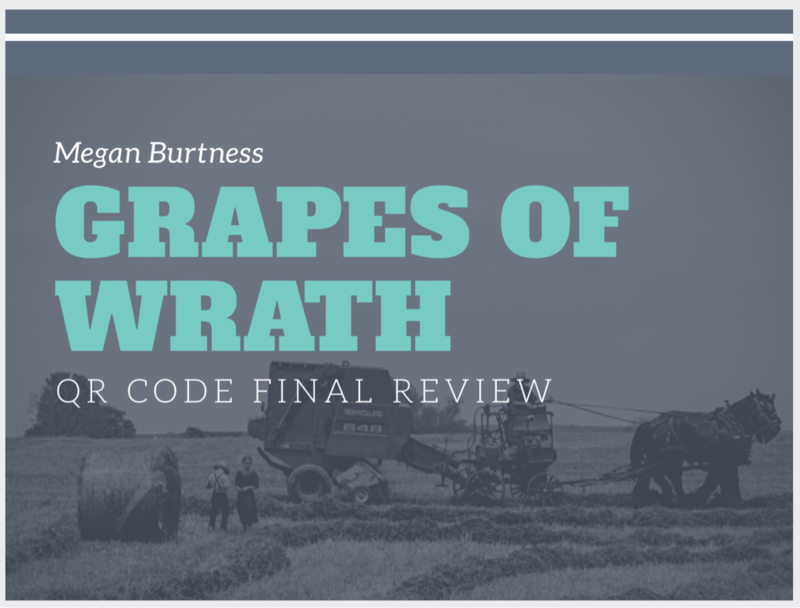 This week, I created an interactive QR code activity to use as a review at the end of a unit on John Steinbeck's novel, The Grapes of Wrath. This activity includes QR codes that link to apps, videos, websites, questions, and recorded audio. If you would like to see this activity more in depth, please click on the image below.